Here's some off-the-cuff advice on building a pool from a former top 15 salesmen for a national pool company. The pool process can and will be the most infuriating process that you will ever go through. That is, if you build through a national company. The process starts like this. Call a few companies, get a few salespeople out and get some bids. Designers come out and you get to look an a few ideas. Remember, it's his time against your money. I used to tell customers that they could have only two of the following three things -- time, quality, price, and which two did they want. There are many things that go together to make your dream a reality. If you buy from a national company, please remember they are in business to make money. The only way they can do this at a price lower than the custom shop is with volume. This means one thing; it will take longer to get your pool built. LOOK at your contract. Read the fine print. For every day it rains they get an additional 5 days build time added to the contract. Every day you delay a payment, they get an additional 5 days. You think holding back money will get them to work harder? Think again. Contracts are generally written like this: 10% down, with the remaining balance paid out like this: 30% at dig, 35% at steel, 30% at gunnite, 5% at plaster. Then you're swimming? So you think! Punch lists are done after plaster and they don't plaster until after they pick up that last check. Your problems will be fixed when we can get around to them. All our people are finishing up pools this time of year. What, we won't call back. We don't have time to talk, we're too busy. 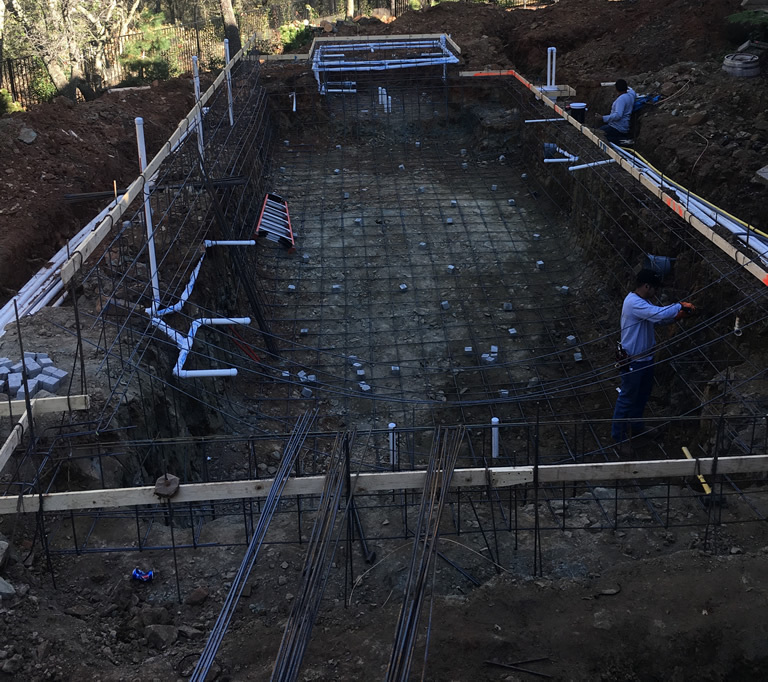 My advice is that if you want to know what is going on with your pool, you get in your car and go to the pool's construction department and see the scheduler. What, there's no deck around your pool? We have 30 decks ahead of you right now. Out deck people can only do at best 4 decks a week. We can't pour concrete on wet ground, it will crack and we don't warranty decks. It's going to rain at least once every 2 weeks in the summer time allowing us to do mabey 12 decks a month, so right now you're 2 1/2 months out. There are pool builders and pool companies. Pool builders charge more. Pool builders finish quicker. Pool builders give service after the sale. After you let a pool company build your pool you will understand cheaper is not better!